Rising rents and the trend of gentrification in Boston have remained steadfast, with the city ranking as the fifth most expensive place to rent in the nation, according to apartment rental platform Zumper’s 2017 national rent report. The neighborhoods of Mattapan and West Roxbury saw the fastest growing cost of rent in the last quarter, marking a 12 percent and eight percent increase, respectively, according to a Nov. 20 article published by Zumper, which specializes in apartment listings and rent rankings. The issue of affordable housing was a hot topic in this year’s Boston mayoral elections, where candidate Tito Jackson expressed the City was not focusing on the issue enough, and incumbent Boston Mayor Martin Walsh responded with the current initiatives in place to tackle the problem during the final debate, The Daily Free Press reported on Oct. 25. 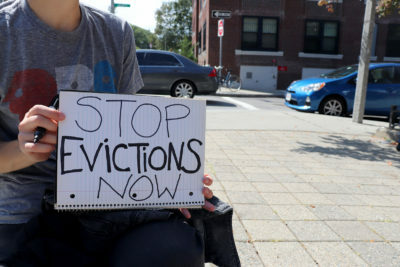 Priscilla Flint-Banks, co-founder and program coordinator at the Black Economic Justice Institute (BEJI), said the City of Boston is not doing enough to halt the effects of gentrification. Landlords are seizing the opportunity and raising rent which makes gentrification visible and active, especially in Roxbury, Dorchester and Mattapan, Flint-Banks said. The organization has several efforts underway to address the issue, Flint-Banks said. BEJI has been working on a project called the Blue Hill Corridor Planning Commission, which is looking into getting a land trust and working with businesses to decide what they need and what are they looking for, Flint-Banks said. Felix Zemel, Boston University Metropolitan College professor of city planning and urban affairs, said gentrification is difficult to quantify, though it is evident in the city. Zemel said the City is also attempting to address the affordability issue through its programs focusing on commercial construction. A considerable amount of the new construction that is occurring is targeting businesses and young professionals, Zemel said. Several Boston residents said rising housing rents is a problem in the city, and suggested potential solutions to address the matter. Elena Arroyo, 23, of South End, said the phenomenon of gentrification contributes to the availability of affordable housing, and expressed officials should do more to combat the issue. Millie Deolio, 50, of Jamaica Plain, said she has personal experience with this problem, citing when Whole Foods came to her neighborhood, which resulted in the rising of rent and increased construction of luxury buildings. John Guidetti, 61, of Roxbury said there needs to be a higher percentage of affordable housing for the normal working person, and expressed his dissatisfaction with the rising cost of rent. Solange Hackshaw contributed to the reporting of this article.